Open to all young horse enthusiasts! 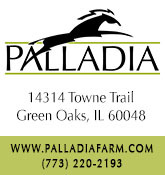 Green Oaks, IL – April 6, 2015 – Palladia Farm in Green Oaks, IL announces their dates for summer camp sessions. 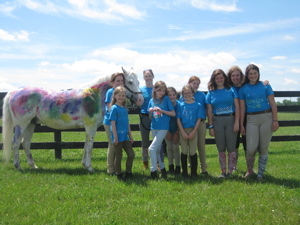 The summer camp at Palladia Farm is a great way for children to begin or continue their relationship with horses, both in and out of the saddle. 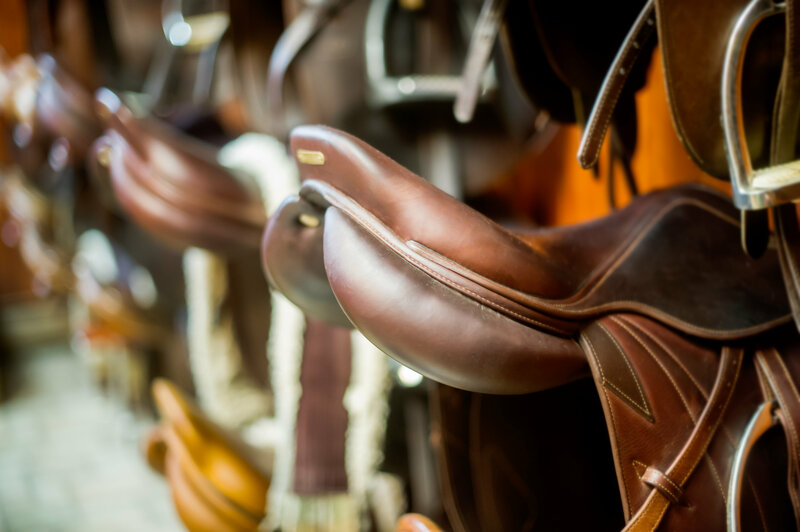 Campers develop basic horsemanship and equine care-taking skills, learn safety zones around a horse and at the farm, and practice riding skills while mounted on one of our safe, experienced school horses. Friendships also form naturally through collaborative learning and team building. Each camp session includes no more than eight students, so that each child can develop an individual relationship with both our horses and our instructors. The camp program has three goals--to teach horsemanship, develop riding skills, and to have fun. To be a true horseman, a person must know a lot more about horses than just what to do when you're sitting in the saddle. Our camp program prioritizes developing each student's horsemanship skills. Students will learn how to groom, tack and care for the horse. Students will also perform these basic barn and horse care chores each day. Students ride once a day, and will receive a variety of instruction throughout the camp session. On some days campers will ride in groups or pairs; on other days they will receive private instruction. Each day there will be a fun session in our charming annex barn, built in the 1940s. The focus of this time will be learning more about our equine friends through a variety of media and games. Activities will center on a variety of topics, including horse breeds, colors, anatomy, and different varieties of horse sport. We enjoy bringing out the creativity in each child, so we try to make these learning sessions as fun as possible, often involving different arts and crafts techniques, and other activities such as scavenger hunts, horseless horse shows, and nature walks throughout our 15 acre property. This laid-back time during the busy camp schedule gives the children an opportunity to relax and enjoy their time with each other. At the end of each day, campers create a memory book page that relays the day's activities and learning topics. Parents can read the memory books at night; becoming students themselves as their children reveal what they have learned! Each camp session costs $500. A $250 deposit is required to hold your child's spot. What is the best age for participating in the Palladia Farm camp program? Camp is open to children who are six to eleven years old. Older children and adults should sign up for our Riding School or for a private lesson with one of our trainers. Below is additional information about camp. 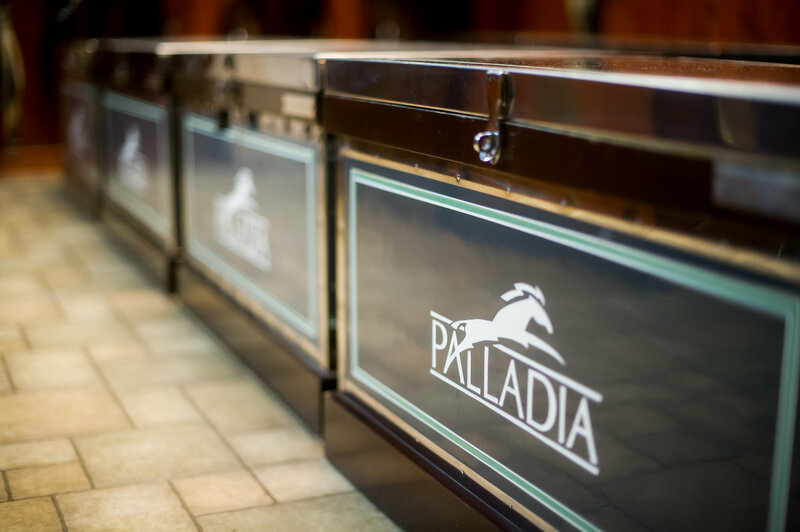 Palladia Farm is a newly renovated facility providing boarding, training, lessons, showing and sales. It is located in Green Oaks, between Libertyville and Lake Forest. The trainers are certified by the United States Hunter Jumper Association. Visit their website at www.palladiafarm.com.